"It's been a very confusing issue for the military, and I think I'm doing the military a great favour," President Trump said during a news conference in Bedminster, New Jersey, on Thursday. 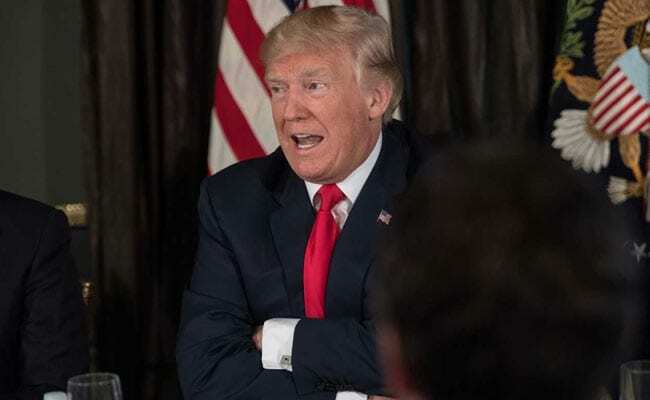 Washington: US President Donald Trump has defended his decision to ban transgenders from serving in the country's military, saying he is doing the armed forces a "great favour" on the issue he calls "complicated" and "confusing". The President said he has "great respect" for lesbian, gay, bisexual and transgender people and denied that his ban amounted to a betrayal after pledging to protect them during last year's campaign, the New York Times reported. "I've had great support from that community," President Trump said. "I got a lot of votes." He said the military is "working on it now", adding that "I think I'm doing a lot of people a favour by coming out and just saying it." President Trump's announcement of the ban in tweets on July 26, reportedly caught military leaders by surprise and drew sharp criticism from LGBT advocates. The President said that the military could not afford the medical costs of supporting transgender people. He also said transgender personnel made it harder for the military to focus on "decisive and overwhelming victory". Earlier this week, two gay rights groups filed a lawsuit to halt the proposed ban before it takes effect. The lawsuit, filed on behalf of five transgender women who are now serving openly, said a ban would violate the women's constitutional rights. One administration official said the White House was considering urging transgender service members to retire early. But a defence official, speaking on the condition of anonymity, said doing so might be difficult to defend in court.